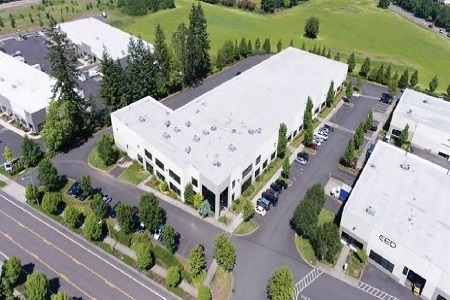 20050 SW 112th Avenue is located approximately 14 miles southwest from downtown Portland and is located within the Franklin Business Park. The property is a 60,405 square foot, rear-loading, 26' clear height tilt-wall industrial building with ESFR. The asset was built in 2006 on a 3.34 acre site and includes 12 dock-high loading doors and, 6 grade-level doors. The property is built-out with 34% of office space that is evenly split between the 1st and 2nd floor. EverWest acquired the asset on behalf of an institutional separate account.